What is Netsuite Integration with EDI? On its own, the Netsuite Integration for Amazon can help improve order and sales synchronization between platforms, help to automate fulfillment and shipping practices, help understand fees and commissions associated with selling your products on Amazon, help manage refunds and cancellations, and much more. For companies that use Netsuite as their ERP, an EDI integration can make all the difference. 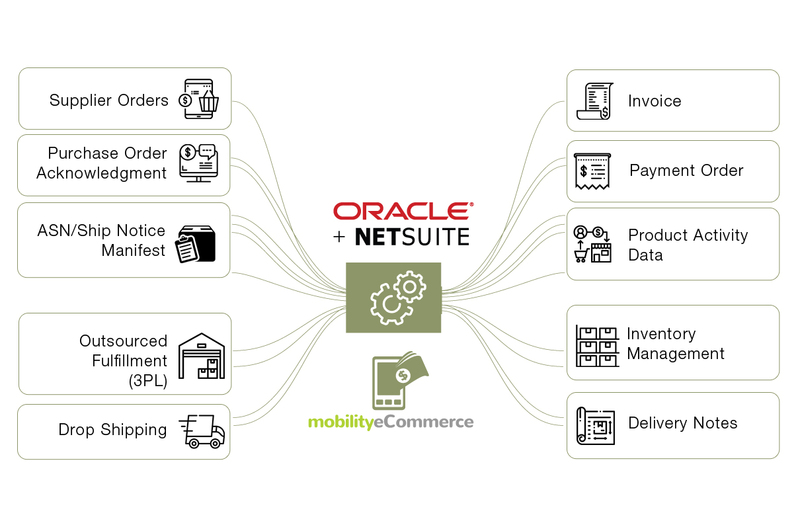 Some of the advantages of Netsuite with an EDI integration include easier supplier orders, outsourced fulfillment, and drop shipping. Get ahead by settings rules and configurations to receive Purchase Orders(850) , acknowledge them (855) , Request Routing and Confirmation ( 753 and 754) , process the Advanced Shipping Notifications/Manifest for carton/pallet shipments , process the Invoice(810) both on Amazon Vendor Central and Netsuite that helps with payment reconciliations. The benefits of Netsuite Integration with EDI are in the details – the ones you won’t have to worry about manually controlling or managing. Netsuite with EDI helps save you time, money, and the headache associated with ensuring uniformity of all paperwork sent throughout the supply chain. For more information about Amazon Integrations and how you can make your customers’ online retail experience excellent, talk to one of our experts!